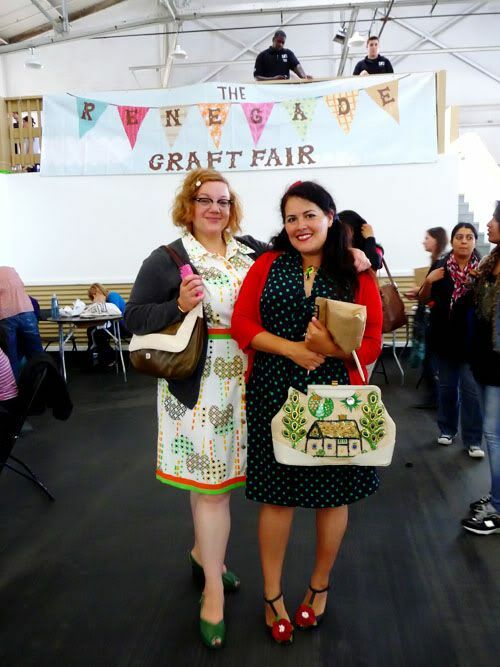 A few weekends ago, Miss Dottie and I decided to head on down to the Renegade Craft Fair. 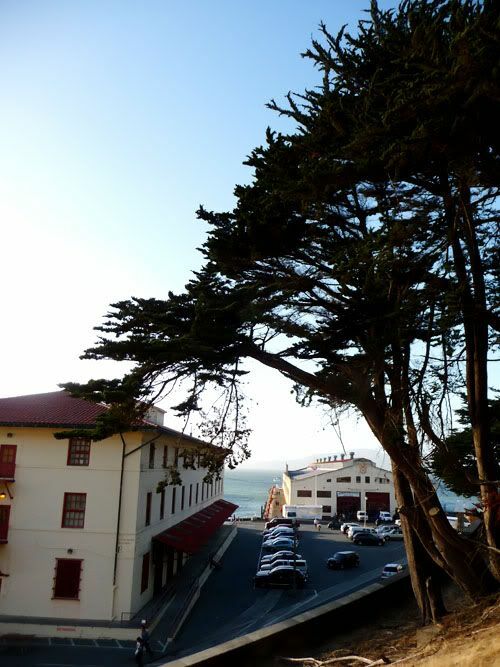 It’s always at the most scenic location, Fort Mason. 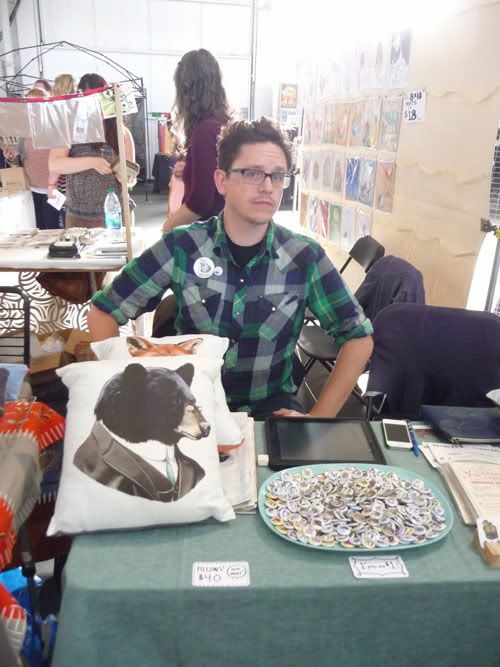 The joint was jumpin’ and we saw and met some really amazing folks (shout out to the most wonderful Robert Mahar! So great to finally meet in person!)! 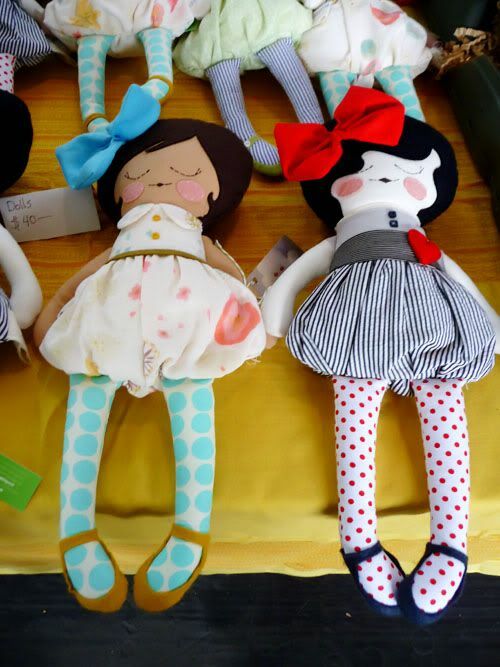 Renegade is filled with all kinds of handmade goodness….silkscreened artwork on tees, beautiful felt floral hair clips, stuffed animals and dolls, art work, jewelery and much more. A lot of the work is playful and tongue-in-cheek. A little bit indie. A little bit kitschy. And a lot of lovely. Let’s look around! 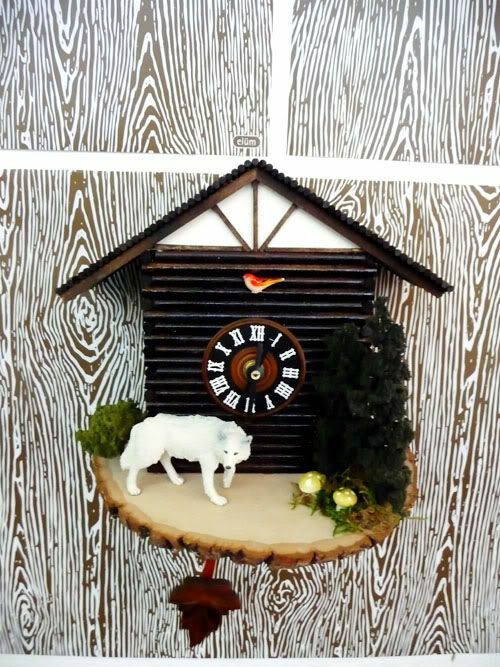 I was quite taken with this cuckoo wolf clock from Black Forest Clockworks. 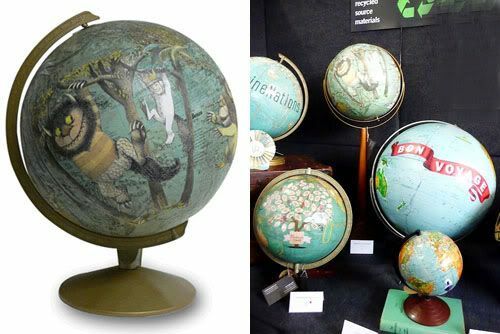 Another favorite were these globes, they were STUNNING I tell you. 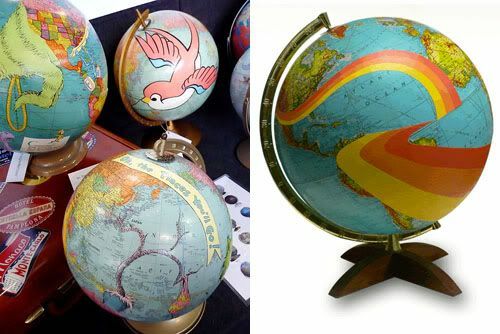 Vintage globes are all the rage, but I thought this fun spin on them was especially cool. Usually people futzing with vintage objects can kinda bum me out (“What?? Paint on a gorgeous vintage globe??? Sacrilege!”) but these were glorious. Artist Wendy Gold paints whimsical designs and even customized family trees on them and turns them into unique pieces of art. You can see more at ImagineNations. 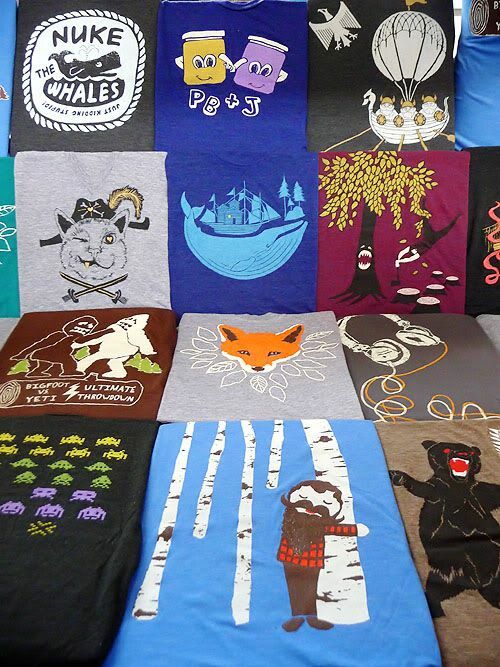 Once of my fave things to scoop up are groovy tees for Wolfie and Greg. SO MANY great ones. I got Wolfie that little groovy fox down there. Rad tees from Gnome Enterprises. 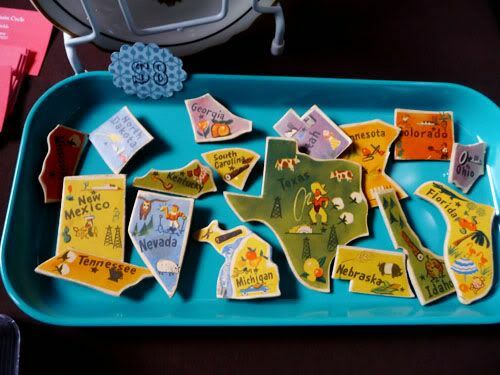 These pins were really sweet—but mostly they made me want to find the vintage puzzle that they came from. 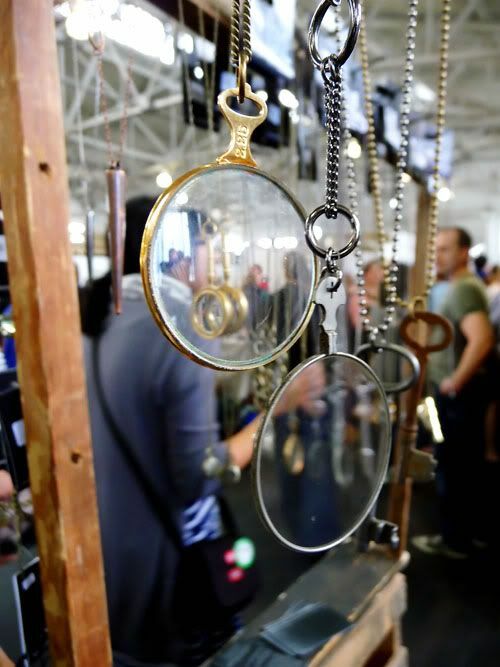 I say….doesn’t everyone need a monocle???? I reeeeally wish I had bought that, just so I could give people THE LOOK whenever I felt like it. I tell ya, Big Foot really never gets old. Same goes for Chewbacca and Abominables. 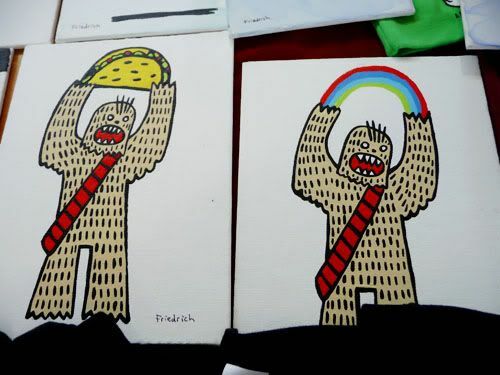 And a Chewy with a taco? Too good. 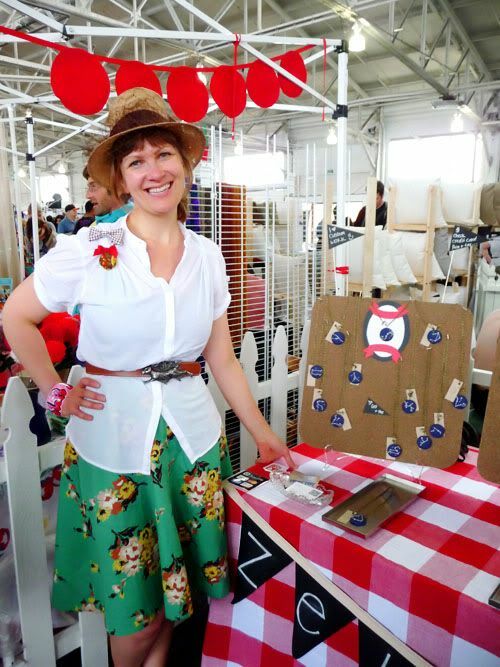 This is the adorable Lisa from Zelma Rose. 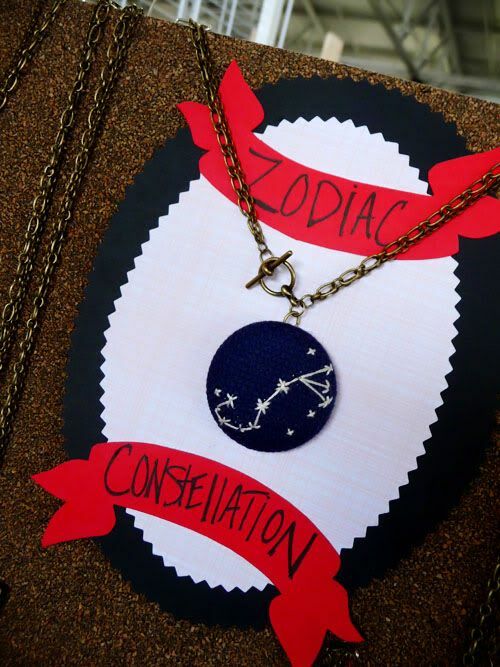 Her “vintage inspired curiosities” are these really charming hand crafted pendants. Dottie loved the beautiful chalkboard lockets and sillouettes and I was quite taken by the constellations (hey, they didn’t used to call me Galexie Girl for nothing! I lerve of all things spacey!). 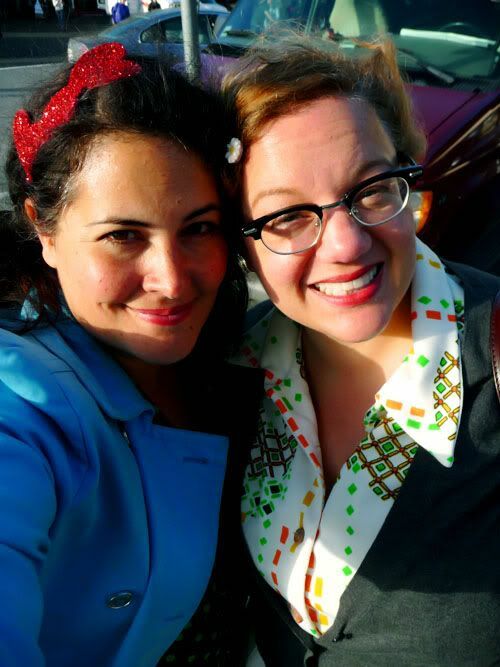 We ran into our sweet pal (and fellow Devil-Ette) Katie. 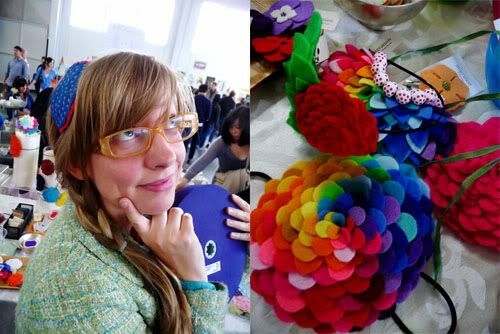 She bought some really great felt hair doo dads from migration studios. Really lovely. 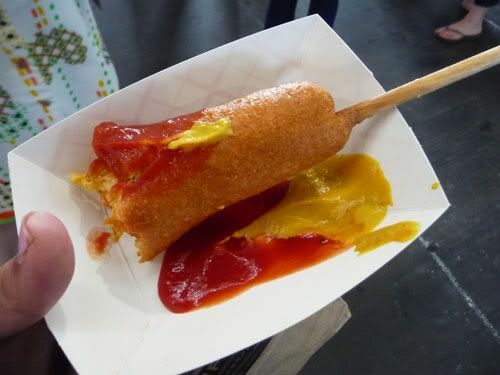 We had to take a break for some snackies and veggie corn dogs did the trick! Then it was back to the show! 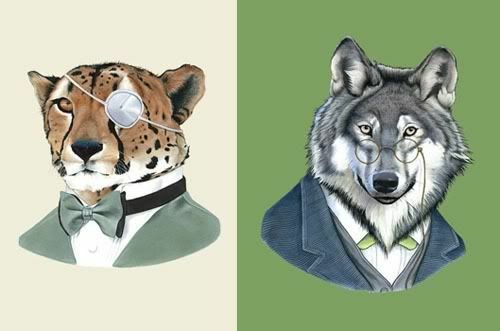 I have to say I’m crazy about these suave animals from Ryan at Berkeley Illustration. I bought two prints for Wolfie’s room, the dapper Wolf and the mysterious Cheetah (because Wolfie recently informed that the cheetah is his “Top Favorite Animal”). They are very affordable and super cool. 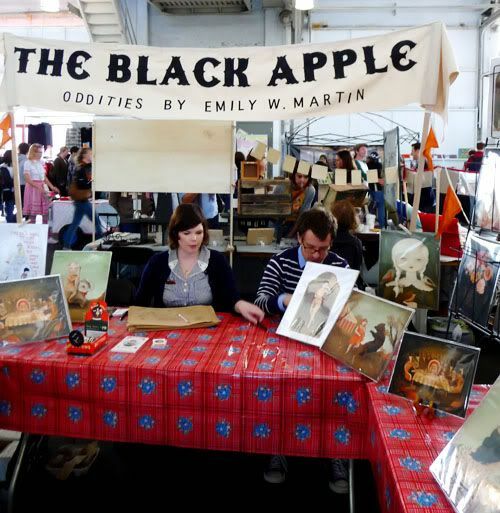 Emily from The Black Apple was there and her display was as adorable as you would expect. 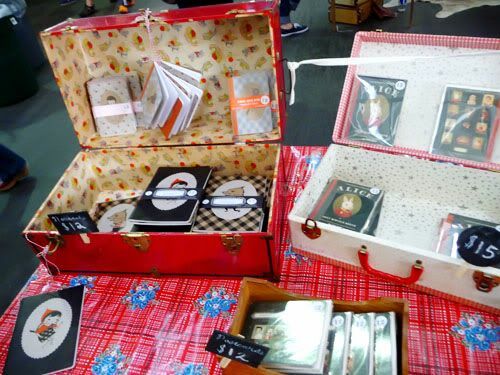 Little vintage suitcases filled with goodies? Yes please. 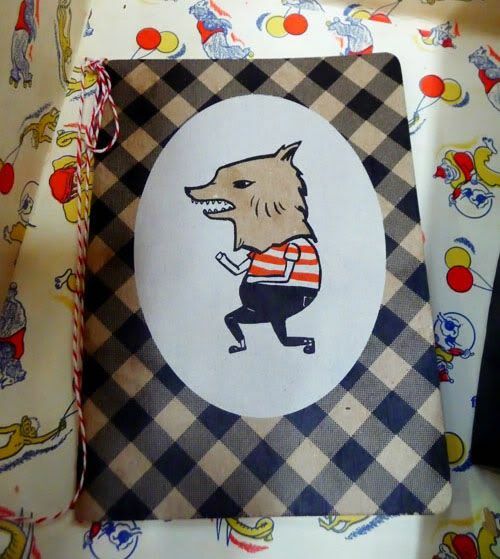 I swear we don’t really own many “wolf” items (although I realize I just referenced THREE in this post alone) but this notebook was so cute I couldn’t resist!! 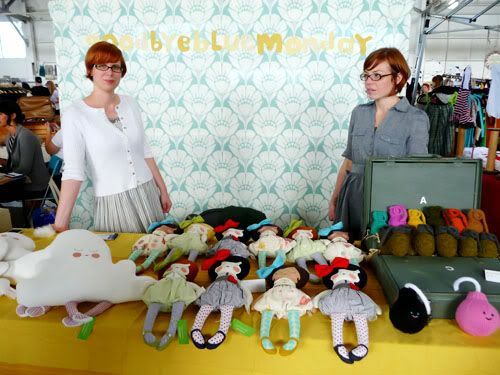 The lovely ladies at Goodbye Blue Monday had the sweetest dolls. 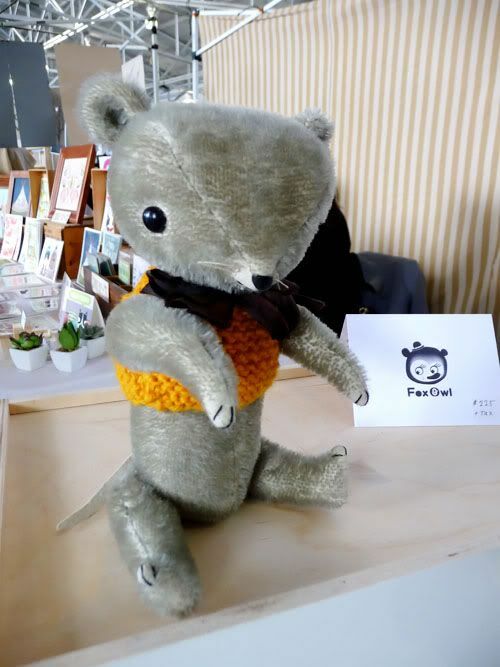 Dottie almost bought one for the Peach…must remember come Christmas! Best in Show for me was Fox and Owl. 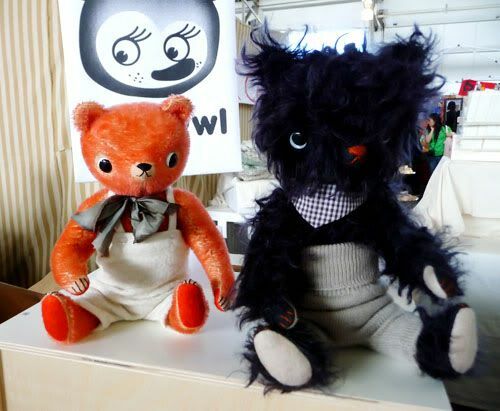 She makes these completely magical little stuffed animals that remind me of the vintage German Steiff animals I had growing up. They were SO sweet and wonderfully made. Just gorgeous. You must check them out! All in all it was a smashing day! If the Renegade is coming to a town near you, you should def check it out! 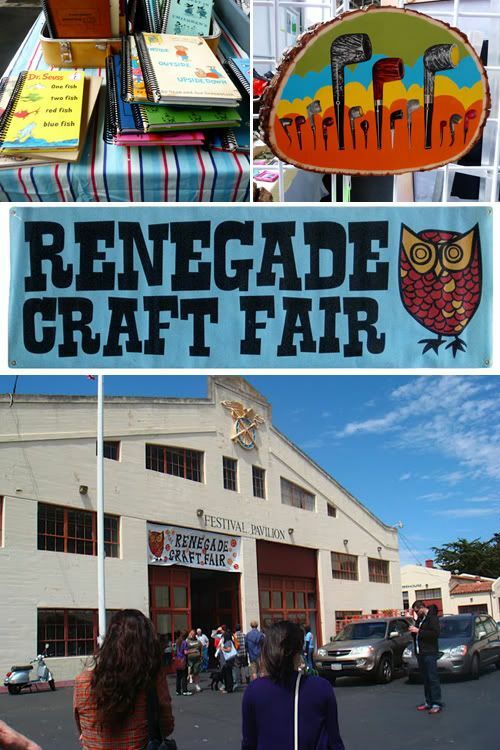 Psst, click here to read a quick a funny story about us trying to find parking at Renegade! 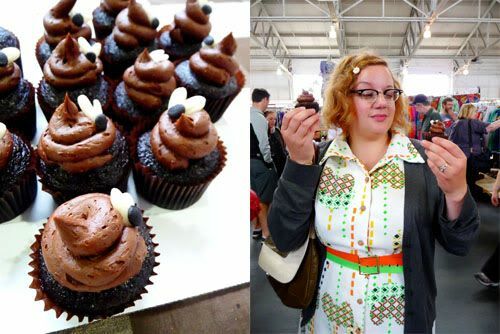 Posted in Real Life, Real Life : Alix, Real Life : Dottie. Oh, this was so much fun! I had such a blast and I must admit that Alix didn’t even get into the most hilarious part of it, which was our hour long quest for parking and watching a HUGE twenty foot long beast of an RV park into the world’s tiniest parking space! Ahhhh!! 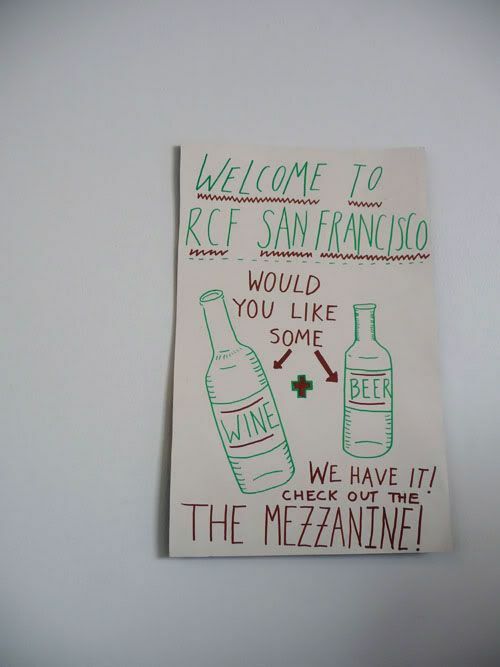 This makes me wish I lived in San Franny. looks like fun! i would love to go to renegade sometime. oh, and your outfits are so cute! I am so many shades of green with envy—you look like you had so much fun!! thanks for the renegade update. I’ve never been and sooo want to see what it’s about! the pictures are promising and I will try to make the next one! Best in show?! Are you kidding me? I’m so honored! It was really nice to meet you two!